The company’s latest offering, FreshTag, is an innovative time and temperature monitoring system that links together the entire supply chain from point of production through to QSR/store. 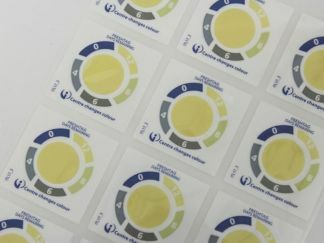 The After Opening Freshness Timer is a time and temperature sensitive label which allows the consumer to track freshness of cooked meats once opened. Based on patented colour changing technology these labelling solutions are significantly impacting food waste for major global brands.